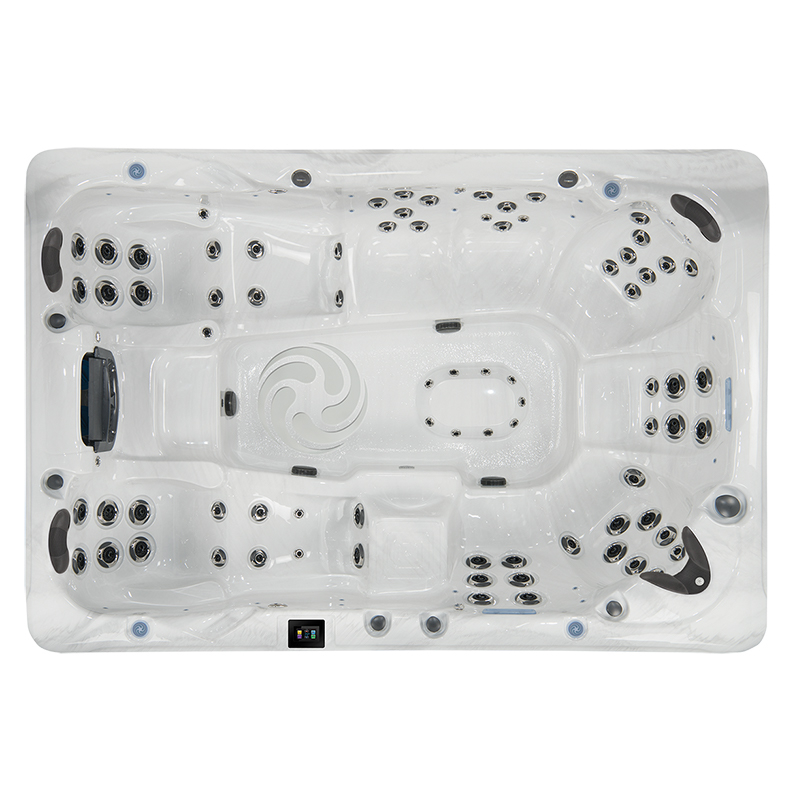 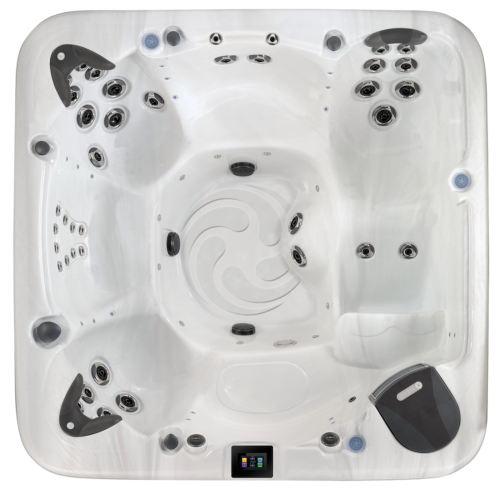 The American Whirlpool Hot Tubs series by Crown Spas is a line of premium hot tubs which offer superior designed products. 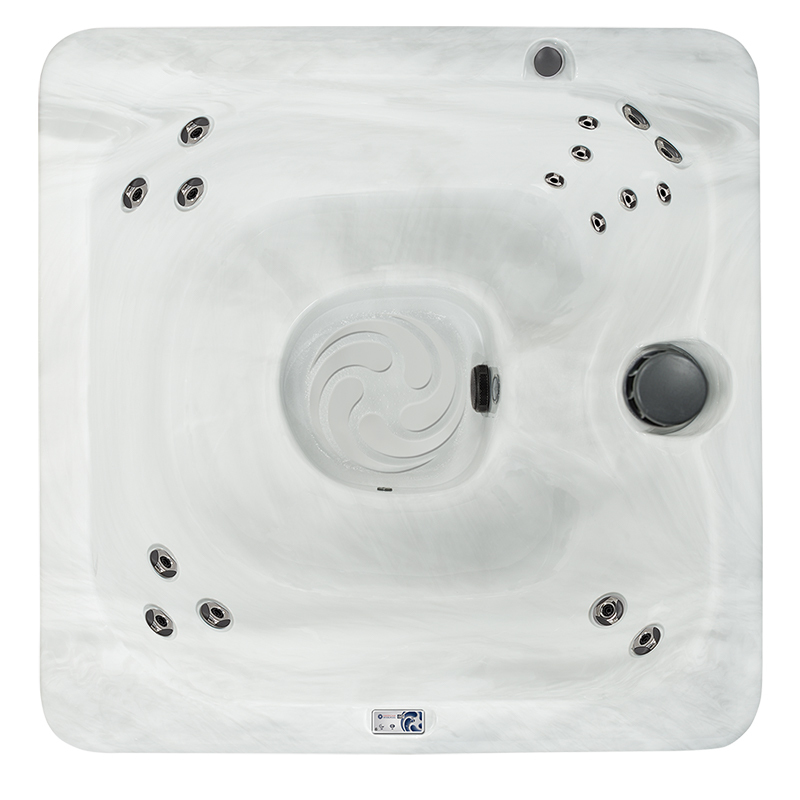 Check out the many size options and various features of the American Whirlpool tubs. 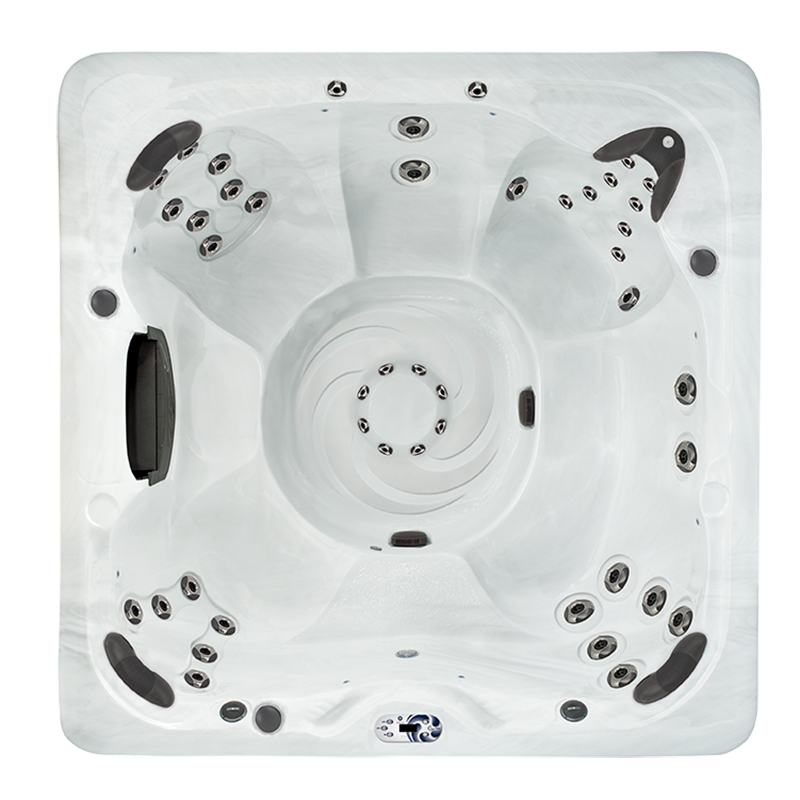 From smaller models to large swim machines, American Whirlpool will have the tub that fits into your life. 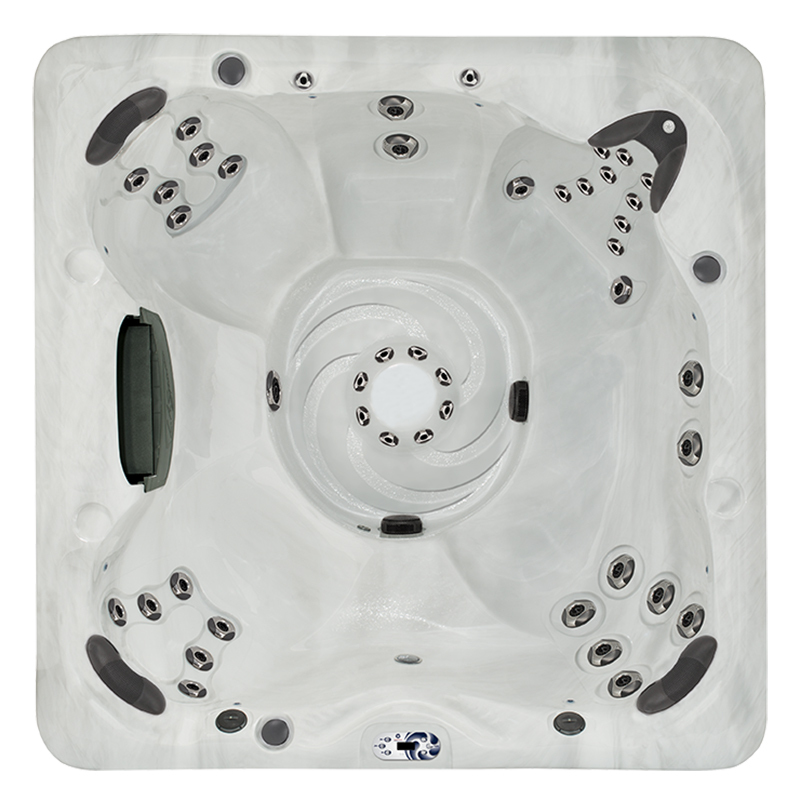 Innovation in every detail—see for yourself. 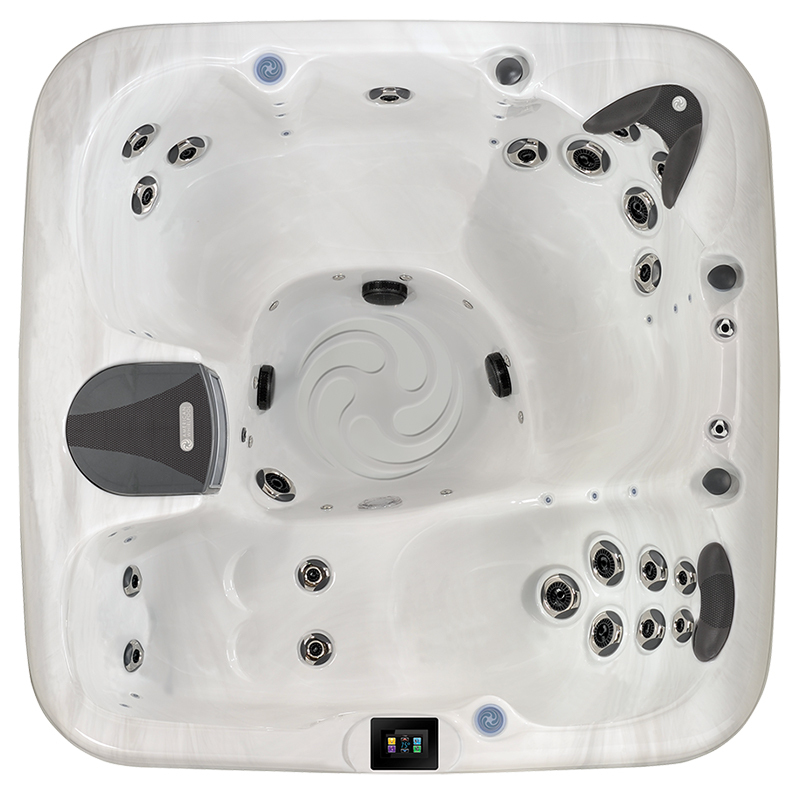 There are many aspects of AMERICAN WHIRLPOOL® that will give you peace of mind. 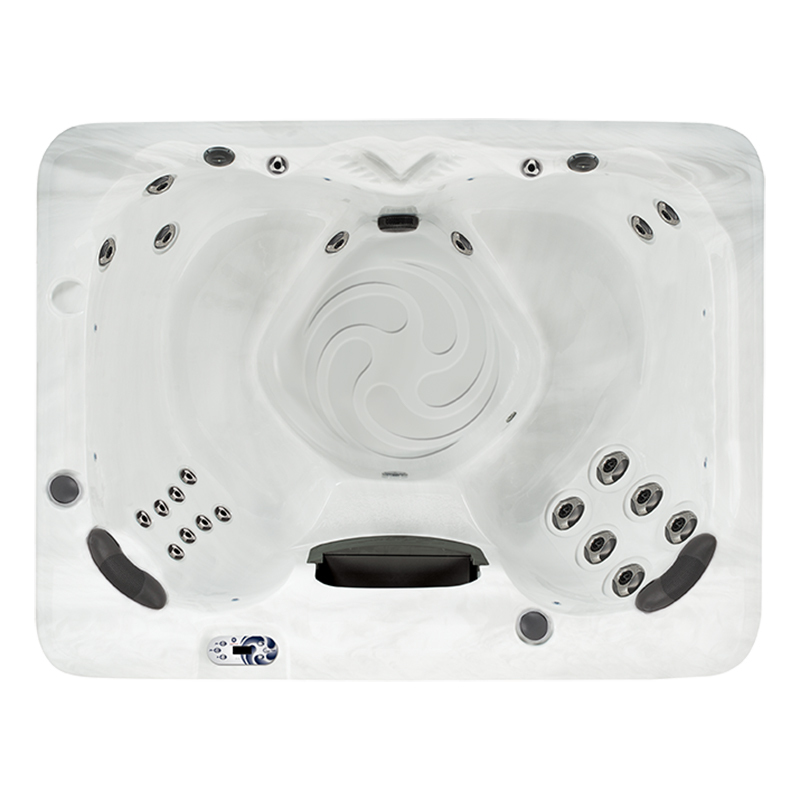 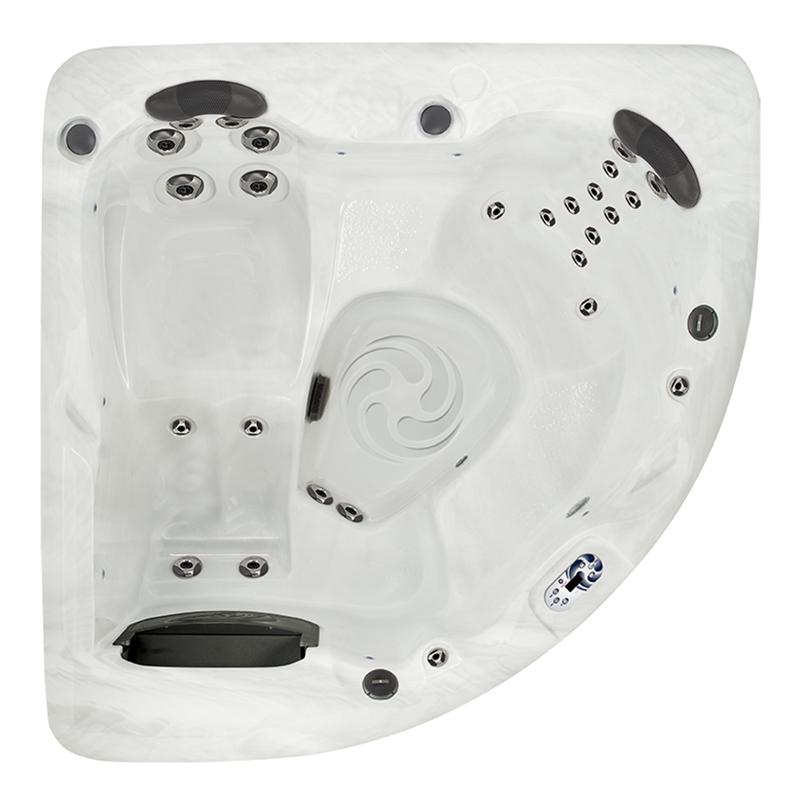 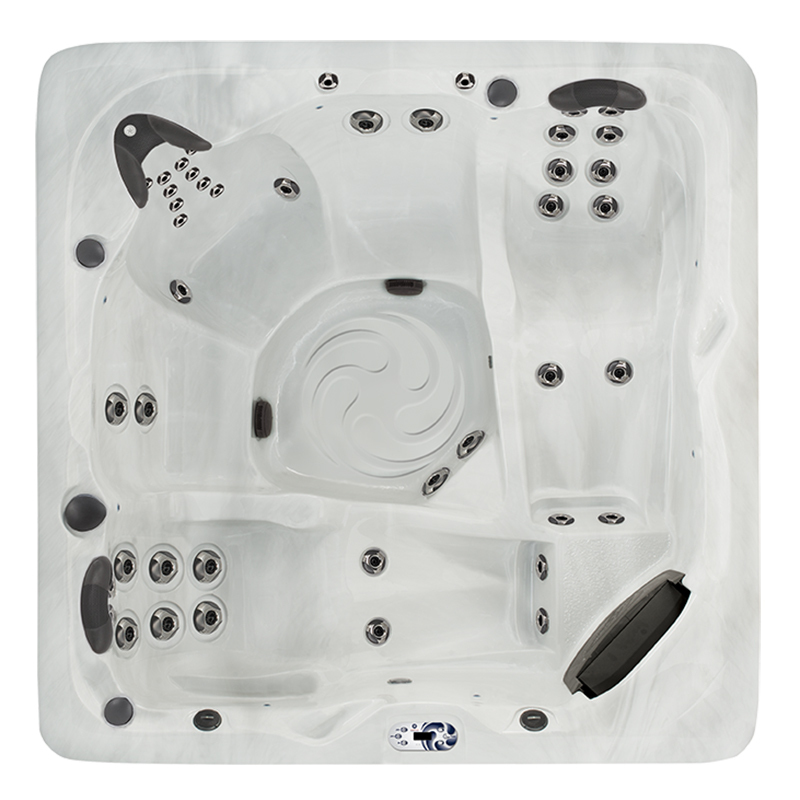 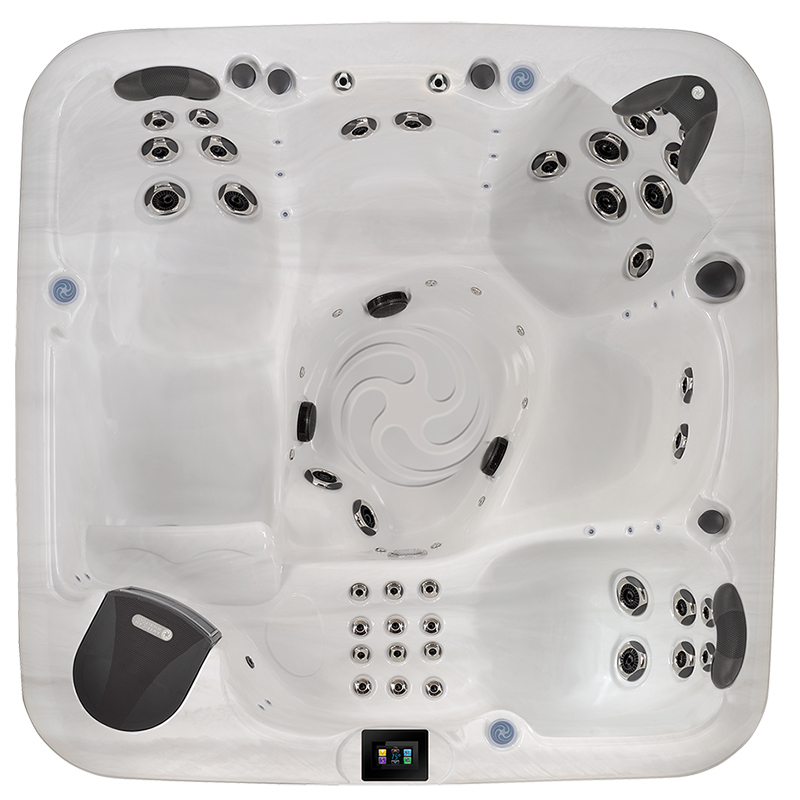 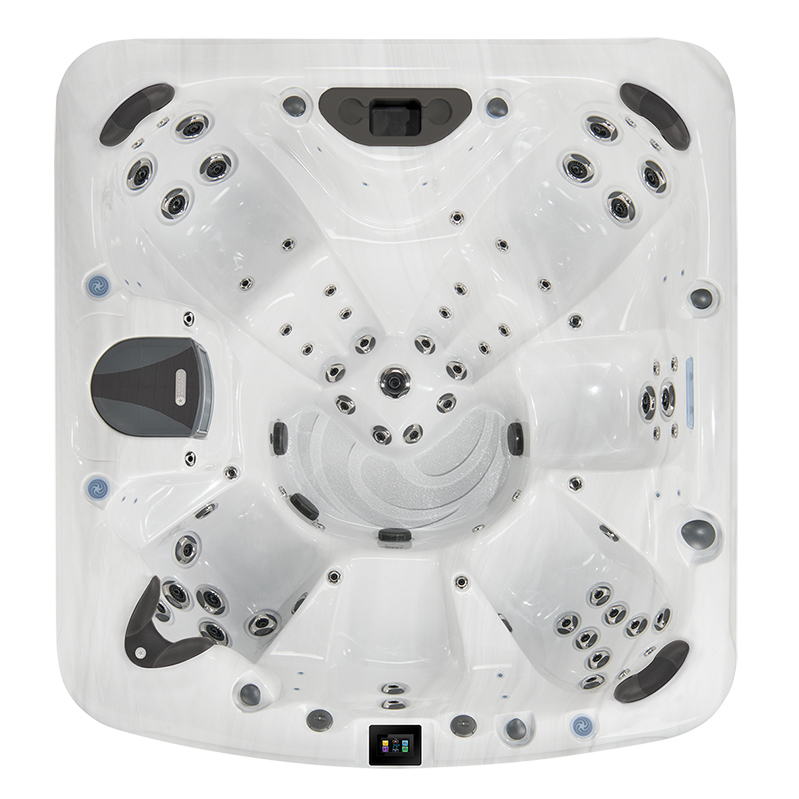 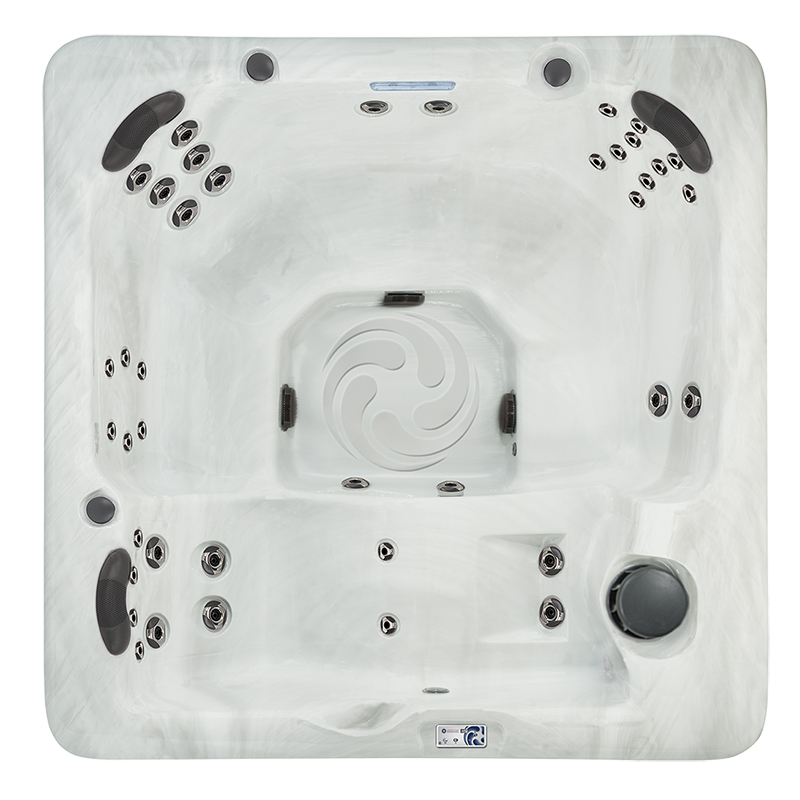 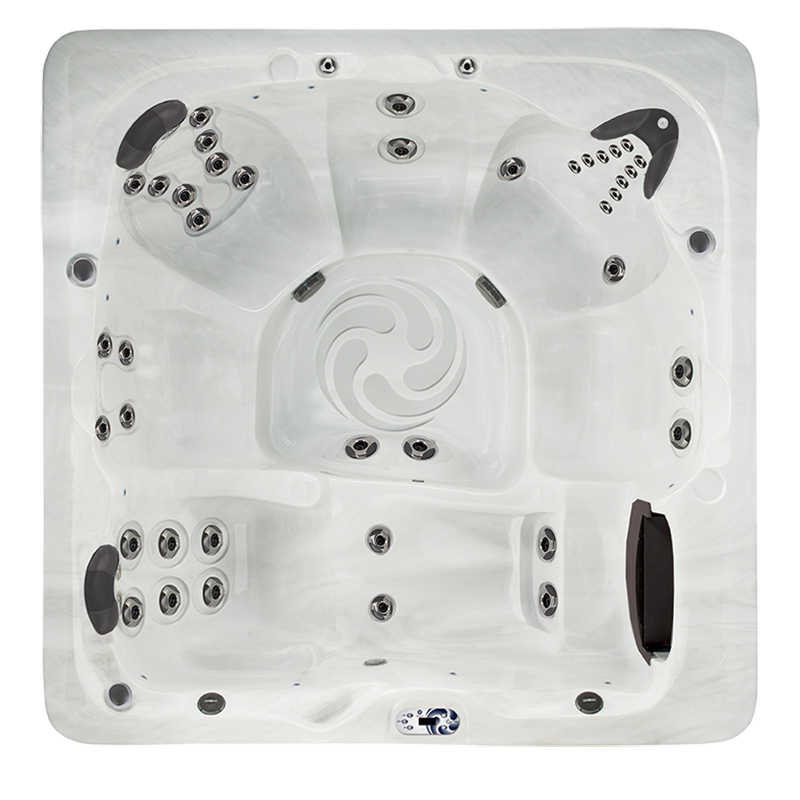 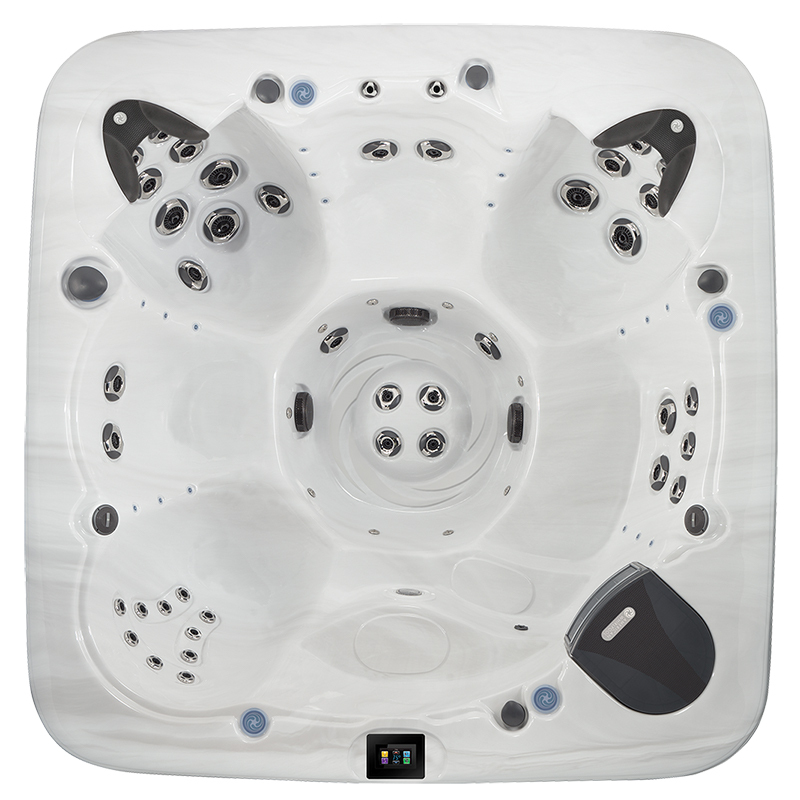 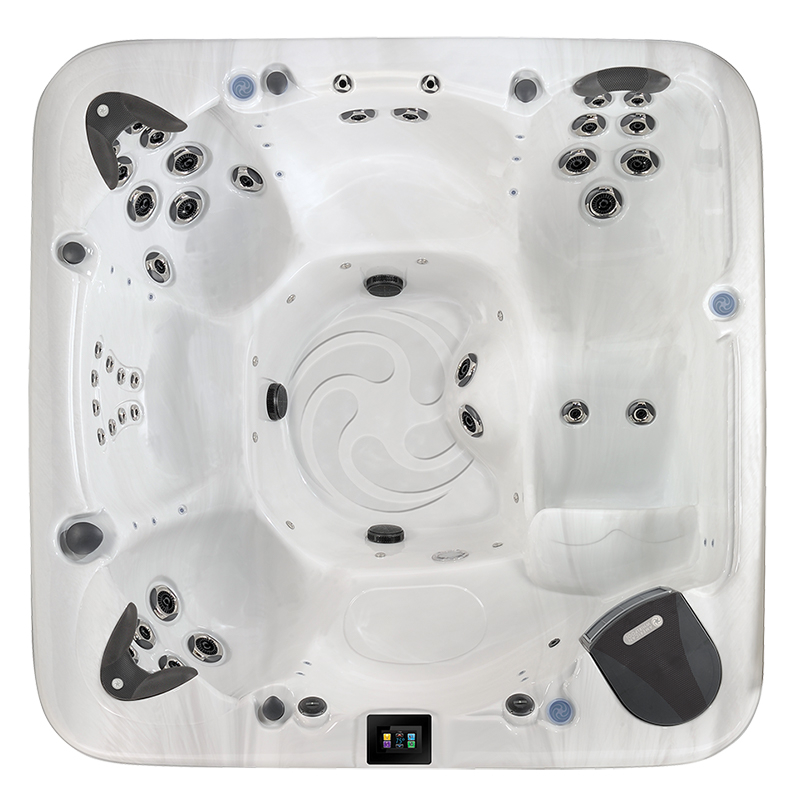 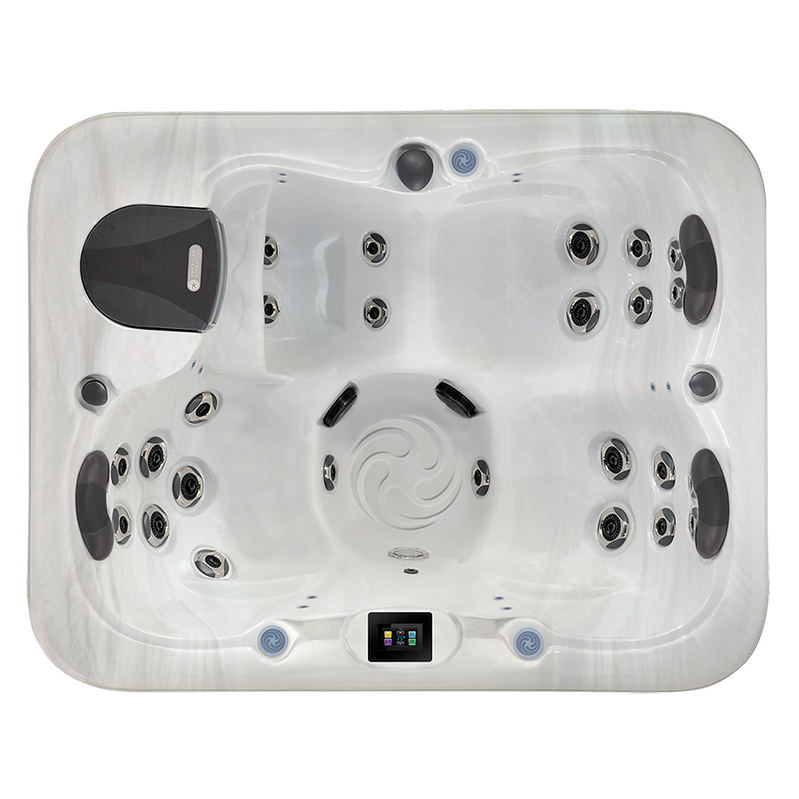 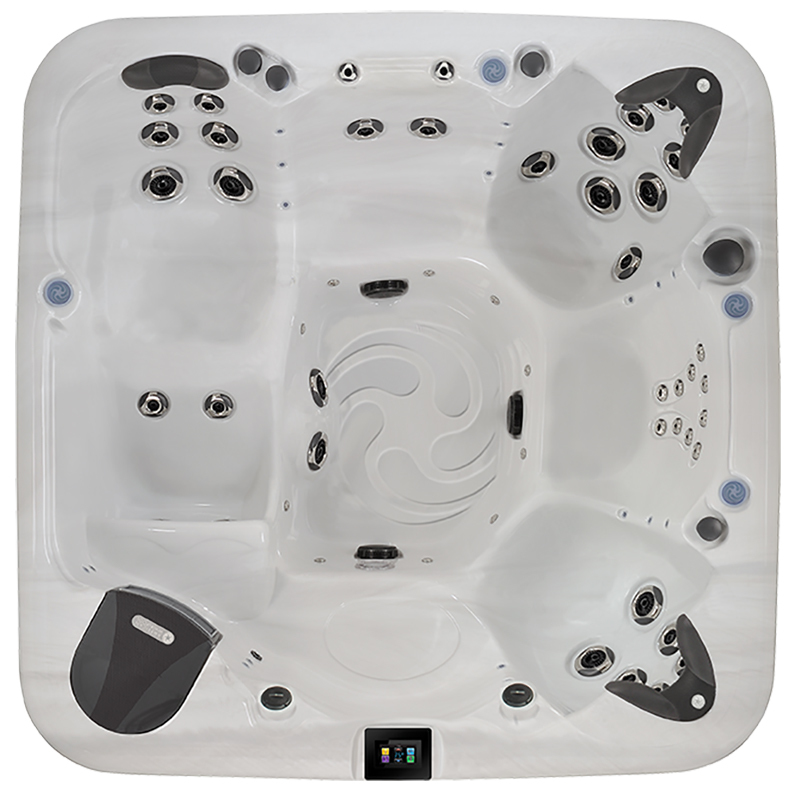 Below are a few top of the line features that make your AMERICAN WHIRLPOOL® hot tub unique. 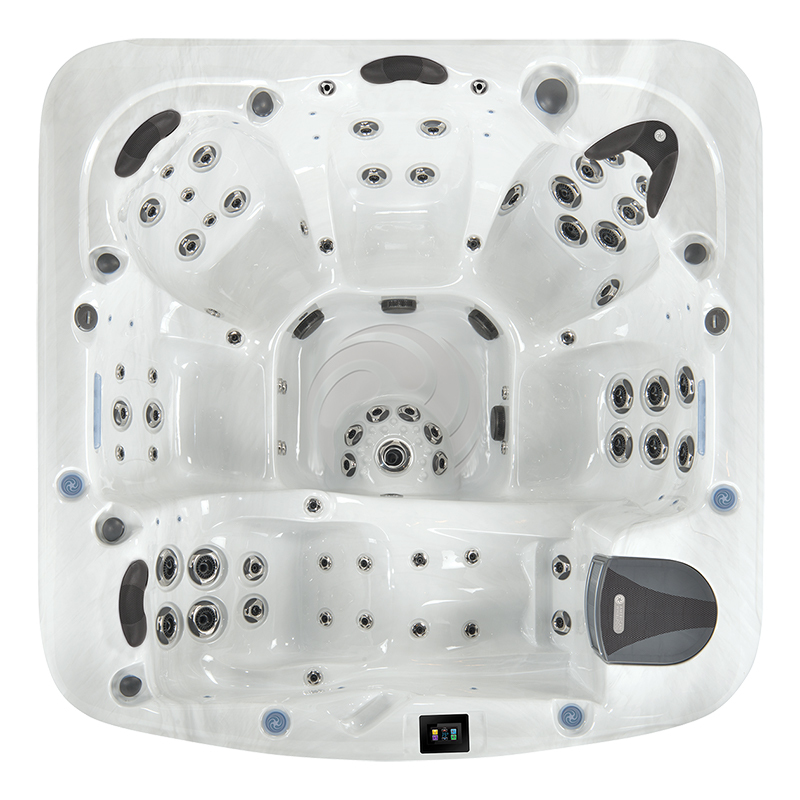 Each seat is designed to provide full body immersion and proper posture for superior comfort and performance. 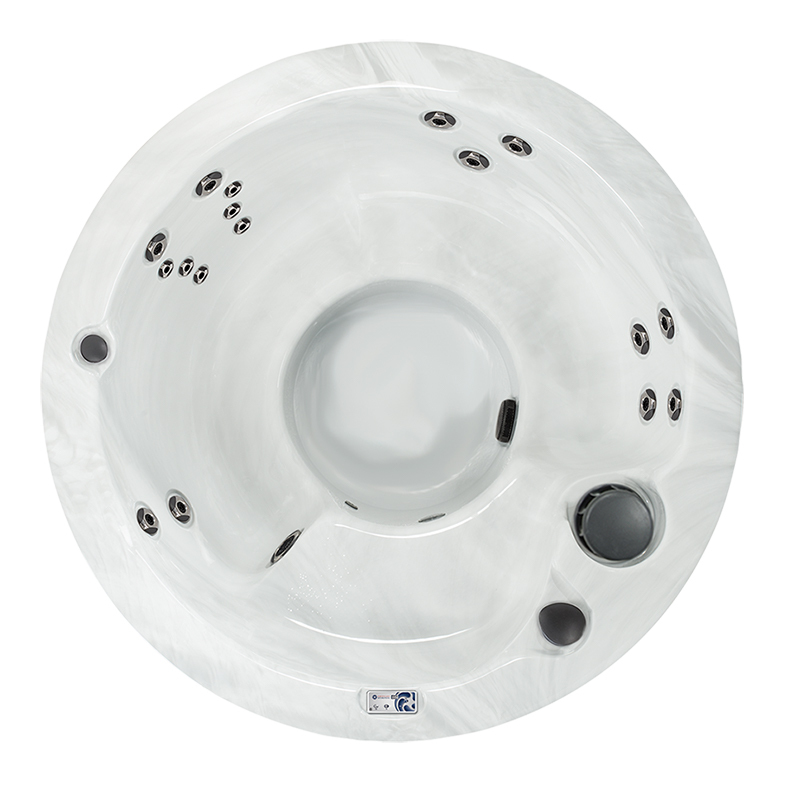 This unique cushion supports your neck, cradling your head while jets massage your neck and shoulder muscles. 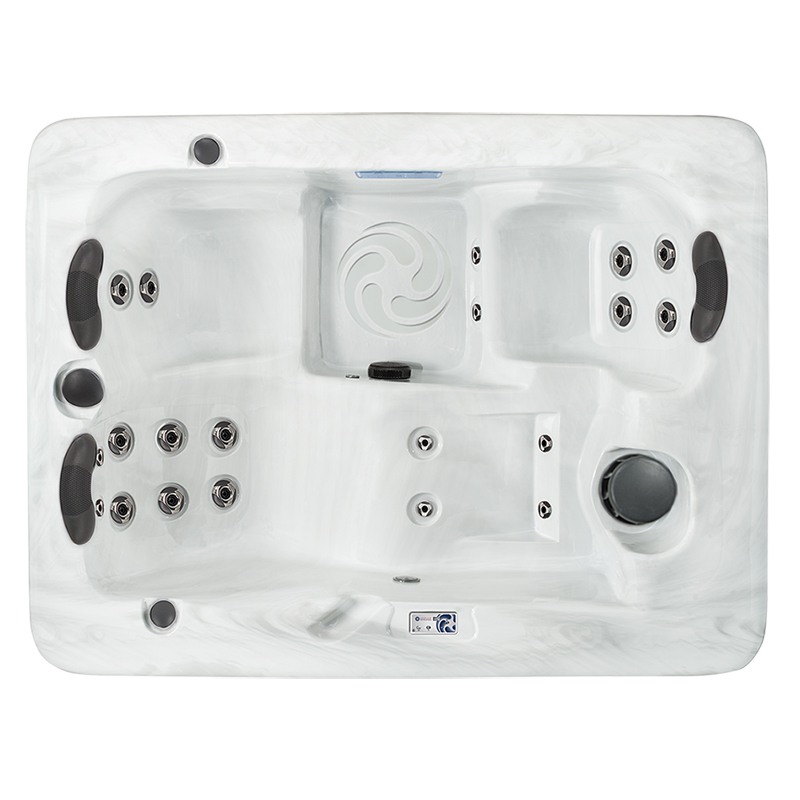 The Foot Relief Zone targets the upper and lower parts of the feet providing a "spa for your feet". 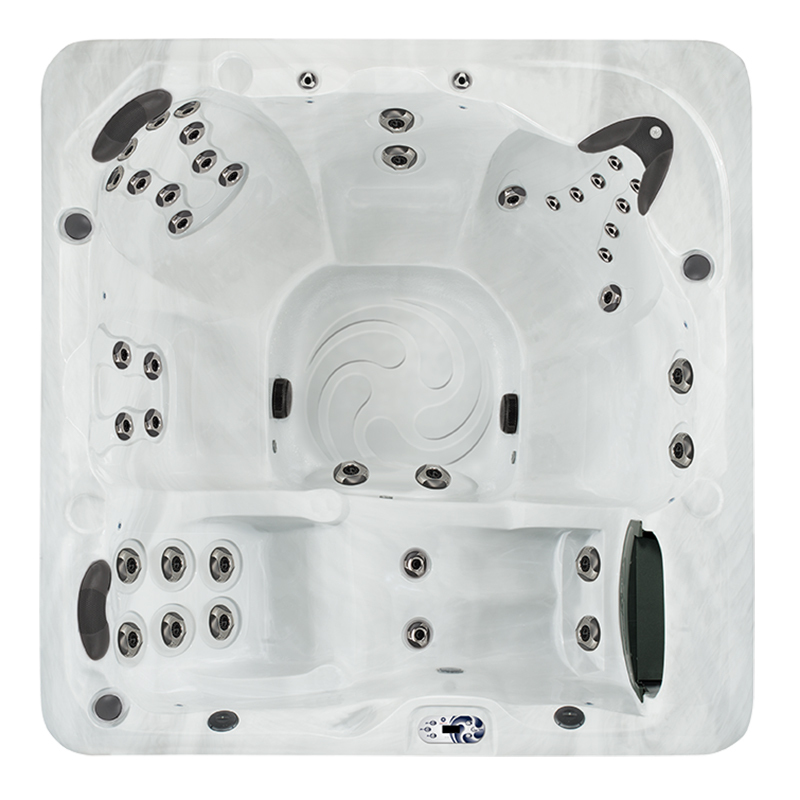 Scientifically designed to jets maximize performance and improve the massaging action.